An organization’s success depends on its manpower. No matter how much an organization invests in other assets if its manpower does not have the competence then the organization will be unsuccessful. Even in order to decide in which fixed assets to invest the manpower is involved. Because it the personnel designated in a particular post, makes the decision. Therefore, when it comes to the hiring of the personnel an organization has to be very careful about their selection process. First an organization conduct a human resource planning to identify their personnel needs. Once these needs are established a job analysis is conducted, which clarifies the job being done and the individual qualities necessary to do these jobs successfully. Then on the basis of this information a pool of qualified applicants are recruited. The next steps calls for thinning this set, which is the major objective of selection. The purpose of this research paper is to find out that how effective is the Selection Process of BAT. Whether they follow the theoretical concepts in terms of selecting their employees or not. If they are not following the theories than is it creating a problem for them. This report helped us to learn about the reality by comparing the selection process in terms of the concepts and real world situation. Our access to the renowned organization “BAT” gave us the opportunity to learn about them and their selection process. We also learned from this that reality is not always an exact replica of theories we learn from books. Moreover, it will help us, in the near future, to prepare ourselves to face any kind of selection process. Research was based on only one company. The situation may be completely different for other companies. It took a lot of time to get an appointment with the BAT personnel. As a result we had to start the report late. All the secondary data that we could collect is used. However, the research paper is mainly based on primary research. An interview was arranged with the concerned managers of the previously mentioned company. 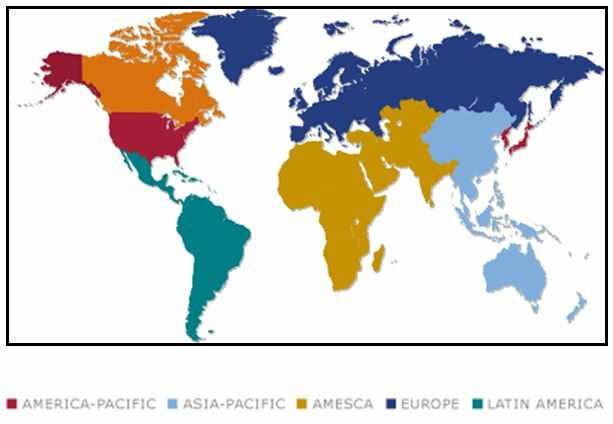 Between the 66 manufacturing countries, Bangladesh is one of them. The manufacturing fascility is situated in Mohakhali. They have access to the other regions of Bangladesh as well. For example they have their offices in Chittagong, Sylhet and many other districts. 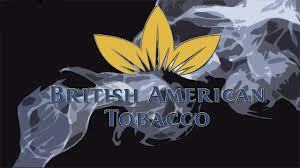 British American Tobacco Bangladesh is considered as one of the successful companies in our country. It is known that having the right people, at right place and time is crucial for a company’s success. This company has been chosen for this project, as it is a successful company in every way and can provide learning insights. What is selection all about? All the selection activities, from the initial screening interview to the physical examination if required, exist for the purpose of making effective selection decisions. Each activity is a step in the process that forms a predictive exercise – which applicant will be successful if hired. Successful, in this case, means performing well on the criteria the organization uses to evaluate personnel. If the selection were free then the organizations would not go through all these in order to select the right employee. But unfortunately the cost of selecting people who are inadequate performers or who leave the organization before contributing to profits is a major cost of doing business. The cost incurred in hiring and training new employee is very expensive. Proper selection of personnel is obviously an area where effectiveness—choosing competent workers who perform well in their position can result in large saving. There are two types of selection process—the discrete selection process and the comprehensive selection process. There are many steps involved in a selection process. In the discrete selection process if an applicant is unsuccessful in any of the previous steps then he is discouraged to continue. This selection process is designed so that tripping over any hurdle puts one out of race. Thus in each steps some candidates’ drop out and in the final steps only the best of candidates stay. On the other hand, in the comprehensive selection process all the applicants go through all the selection hurdles and then the final decision is made. No matter which approach is used or which steps are involved, one critical aspect must be present: The devices used must measure job-related criteria. That is, these devices must be able to predict how one would perform on the job. The company that we have selected uses discrete selection process. So, lets see their selection process in detail. From our text we have learnt that selection activities typically follow a standard pattern. It begins with initial screening and concludes with the final employment decision. In British American Tobacco, the discrete selection process is followed for entry-level employees. Let us discuss the eight steps of this process comparing the text with the company BAT. But in BAT for entry-level jobs, it does go for prior experiences. The screening interview describes the job in enough detail so the candidates can consider whether they are capable or eligible enough for the job. Here with a minimum of cost to the applicant or the organization, frequently encourage the unqualified or marginally qualified to voluntarily withdraw from candidacy. Another important point during the initial screening phase is to identify a salary range. BAT terms this screening interview as preliminary interview. One more thing should be mentioned; BAT does actually discuss salary with possible employees. There is standard structured pay scale for each level of jobs. The application form gives a synopsis of what applicants have been doing during their adult life, their skills, and their accomplishments. Some organizations follow a structured application form proving spaces for specific attributes. On the other hand, some organizations ask to give a six to ten pages of personal history. BAT doesn’t go for this section. After preliminary interview, it sends possible candidates to the assessment center. Others are sent the regret letters. Organizations historically relied to a considerable extent on intelligence, aptitude, ability, and interest tests to provide major input to the selection process. Handwriting analysis (graphology) and lie detector (polygraph) tests have been used in the attempt to learn more about the candidate. In recent years, reliance on traditional written tests for selection purpose has decreased. Given the historical difficulty and costs, many organizations have merely eliminated employment testing as a selection device. But, just scrapping the employment test is almost equivalent to “throwing the baby out with the bath water”. Then candidates are further short-listed as per their performances. Therefore, they go for the comprehensive interview. The individuals who are still viable applicants after all the tests are then given a comprehensive interview. The personnel department interviewers, executives within the organization, a potential supervisor, potential colleagues, or some combination of these may interview the applicant. This comprehensive interview is designed to probe into areas that cannot be addressed by the application form or tests. These areas usually consist of assessing one’s motivation, ability to work under pressure, and ability to ‘fit-in’ within the organization. BAT shares the same attributes we discussed in this section. In this part of interview, interviewers are half the number of the interviewees. Such as, if there are six candidates for the interview, there will be three interviewers. Who appear to offer potential as employees. This include contacting with the previous employer or referrals to confirm the candidates work record, behavior, attitude and other performances which was appraise or prominent in that person. This also includes contacting other job related and personal references, and verifying the educational accomplishments shown on the application. As we are focusing on selection process of BAT we came to know that, they put less importance on investigating background information. The willingness of the employee to work in their environment and the ability to do the job perfectly is what is considered as major requirements. In the case of new entrants coming from different sources like walk- ins, interns, management trainee and new graduates -BAT still look for attachment of the candidate with a reputed institute. Thus the impact of the applicants’ educational institute or work place counted positively or negatively. In some organization, the administrator often put some condition to the new employee. The requirement of this part is that, to judge whether the employee is able to fulfill his or her job requirements, whether that person could cope with the organization’s environment and culture etc. The employee will be given a certain time period to prove his or her ability in those preferred area. The period may be one month, six months or a year. This period is called probation period If the employee pass to show his or her ability in the job field out of willingness, then the condition will be fulfilled and the job will become permanent for the new comer. In case of BAT-They don’t follow any probation period or list of conditions to confirm the job of the new comer. As they judge the person in the assessment center, whether they are taking the person or not. During this daylong assessment period the HRM department evaluate the candidate through different type of test and presentation. Thus for this previously defined routine test will allow the department to evaluate more precisely according to their need. So BAT don’t need to provide any condition for the job they offer. In the selection process of BAT-They also look for some physical requirements, only for routine check up like blood-group test, HIV test, Eye power, Hepatitis, drugs and fitness test. These are only to see whether the person could fit in the actual job setting. This part of the selection process is less important for the HRM department of BAT. Those individuals, who perform successfully on the employment tests and the comprehensive interview and are not eliminated by the development of negative information on either the background investigation or the physical examination, are now considered to be eligible to receive an offer of employment. For administrative purpose, the personnel department should make the offer. The manager in the department that had the position should make the actual hiring decision open. The manager of the department should have this authority. In this stage the organization also try to attract the potential employee who has the solid understanding of the job and the organization. This represents personnel selection from the perspective of the potential employee rather than the organization, because individuals appear to move toward matching their work with their personality. People desire to work where their expectations are positive and where they believe their goals can be achieved. So in the final decision-making process all these areas are covered to select the right person in the right job. In the selection process of BAT, they form a three-member group from the concerned department. These three members evaluate each candidate separately based on his or her own judgment. After their own evaluation they sit together to justify each other’s judgments to remove biasness. Finally, among the potential applicants the best applicant is chosen whose score is high in the justified evaluation sheet and considered to be selected as an employee. In comprehensive selection, all the applicants are put through every step in the selection process, and the final decision is based on a comprehensive evaluation of the results in each stage. The comprehensive method can be a realistic approach, if it recognizes that the most applicants have weaknesses as well as strengths. However, it is also more costly, since all the applicants must go through all the screening hurdles. The company we selected –BAT does not go for the comprehensive selection process. It finds the discrete process more convenient and appropriate while selecting their employees. For any predictor to be useful, it must possess an acceptable level of reliability or consistency of measurement. This means that the applicant’s performance on any given selection device should produce consistent scores each time the device is used. If an organization uses tests to provide input to the selection decision, the tests must give consistent results. If the test is reliable, any single individual’s score should remain fairly stable over time, assuming that the characteristic it is measuring, is also stable. An individual’s intelligence, for example, is generally a stable characteristic, and if we give applicants an IQ test, we should expect that someone who scores 110 in March would score close to 110 if tested again in July. If, in July, the same applicant scored 85, the reliability of the test would be highly questionable. BAT does not go for any separate reliability test. The selected employees through their works proof that they are compatible in their respective jobs. So far the company didn’t face any regrets regarding their selection process. Therefore, it can be said that the selection process of BAT is reliable enough. High reliability may mean little if the selection device has low validity; that is, if the measures obtained are not related to some relevant criterion, such as job performance. For example, just because a test score is consistent is no indication that it is measuring important characteristics related to job behavior. It must also differentiate between satisfactory and unsatisfactory performance on the job. We should be aware specific types of validity; content, construct, and criterion related. In the case of BAT, it can be seen that they use more than one assessor to assess the applicants. Usually the number of the assessors is half of the number of the total number of applicants. For example, if there are eight applicants, the number of the assessors BAT uses will be four, the half of the total applicants. And this technique makes their assessment reliable. Furthermore, after the daylong assessment, the four assessors sit together and evaluate each other’s assessments. They even charge one another for evaluating any applicant in positive and negative way. If an assessor seems to be bias towards any particular applicant, he must clarify the reason to others. So in this way BAT makes their selection process valid. Selection process is one of the most important jobs for any Company. Getting the right people, at the right place and time is crucial for the success of each and every organization. The help of the selection process identifies right kinds of people. A synopsis of the selection process, generally followed by most organization, compared to the process of BAT is presented in the whole report. The selection process has been described, reviewed and compared the generally followed procedure with the real world situation. It has been found out that BAT follows most of the part of the discrete selection process. However, deviations were there as well. It is seen that in the case of BAT, some steps are occasionally omitted. It was also found out that their selection process is reliable and valid. Finally, it can be said that the previously identified steps are usually followed sometimes with some exceptions in most of the real world organizations. v BAT only gives importance on the adequacy or appropriate experience while the initially screen candidates for the job. They reject any candidate if there is lack of experience. But they don’t emphasize on appropriate education qualification. Though they don’t face any problem yet regarding their selection process, but they may face problems due to disqualification of the employees regarding their education in future. So BAT should emphasize in educational qualifications in their selection process. v In BAT there is a standard structured pay scale for each level of jobs. But some prospective, bright and efficient candidate may not be satisfied with their pay scale. So BAT may loose any prospective employee because of this reason. So they should be flexible regarding salary. v In BAT don’t want application forms from the candidates, so it may sometimes create problem, such as lack of knowledge about the employee’s background and past experience. v BAT gives less impotence in gathering background investigation of the employees. So there can be a possibility that they may hire a person whose past work experience is very bad. So they should give some emphasis on background investigation. v In BAT-They don’t follow any probation period or list of conditions to confirm the job of the new comer when the select any candidate for job. So it is sometimes difficult to judge whether the employee is able to fulfill the job requirements, whether that person could cope with the organization’s environment and culture. So a conditional job offer should be given. v BAT doesn’t give much importance to physical health and appearance of the employees. But it may become a big issue some times. If they are selecting a sales person for a sales job, than it is expected that he have to be smart, nice-looking energetic and physically strong. So for some jobs BAT should give emphasis on physical health. “British American Tobacco Website”. Internet: 2nd November 2002. Husain, S. Tanvir. Face to face interview. 5th November. 2000.